Vijay Krishna Acharya's upcoming period drama Thugs of Hindostan may have roped in two huge superstars - Amitabh Bachchan and Aamir Khan - but it is having great trouble in finalising its leading lady. It was earlier reported that while Aamir was keen on having Alia Bhatt on-board, producer Aditya Chopra insisted on Vaani Kapoor. Shraddha Kapoor and Kriti Sanon were also considered for the role. Then, Bollywood Life reported that Fatima Sana Shaikh, who made her debut alongside Aamir in Nitesh Tiwari's sports biopic Dangal last year, also expressed her desire to be cast opposite her mentor in Thugs of Hindostan. 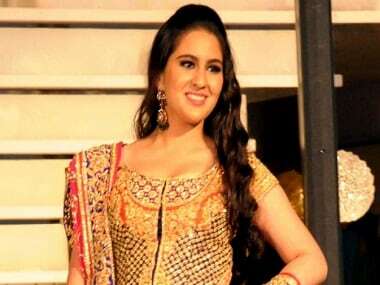 Now, the latest name that has cropped up in the race to the leading lady's role is Sara Ali Khan, as reported by India.com. 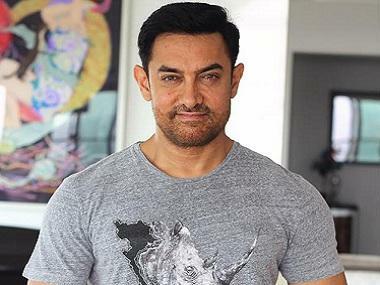 Aamir, who is keen on casting a fresh or at least a younger face opposite him in the film, is keen on giving a break to Saif Ali Khan and Amrita Singh's daughter. Aamir has collaborated with Saif in Farhan Akhtar's 2002 buddy film Dil Chahta Hai. There has been a lot of speculation regarding Sara's debut film. Initially, there were reports that she will be introduced by Karan Johar in Punit Malhotra's Student of the Year 2 opposite fellow industry kid Tiger Shroff. Then, she was rumoured to be cast opposite Shahid Kapoor's younger brother Ishaan Khattar. She was also likely to make her debut opposite Hrithik Roshan in Karan Malhotra's action comedy or opposite Ranveer Singh in a romantic comedy. Now, she might be roped in to make a dream debut opposite Aamir in a Yash Raj film. Acharya has collaborated with her father in the past, in the 2008 film Tashan. Saif has also been a frequent collaborator with Yash Raj Films. In fact, Aditya's late father Yash Chopra gave a break to Saif in the 1993 ensemble Parampara. He has also appeared in other YRF products like Kunal Kohli's 2004 film Hum Tum, Siddharth Anand's 2005 film Salaam Namaste, his 2007 film Ta Ra Rum Pum, Tashan, Kohli's 2008 film Thoda Pyar Thoda Magic and Jugal Hansraj's 2008 film Roadside Romeo.